Instead of taking your old door out, throwing it in the dumpster, and purchasing a new expensive door, you can actually save yourself time, money, and a major entryway construction project by remodeling your existing door. Take your existing door and cut a hole in it. This sounds crazy, but hear us out. 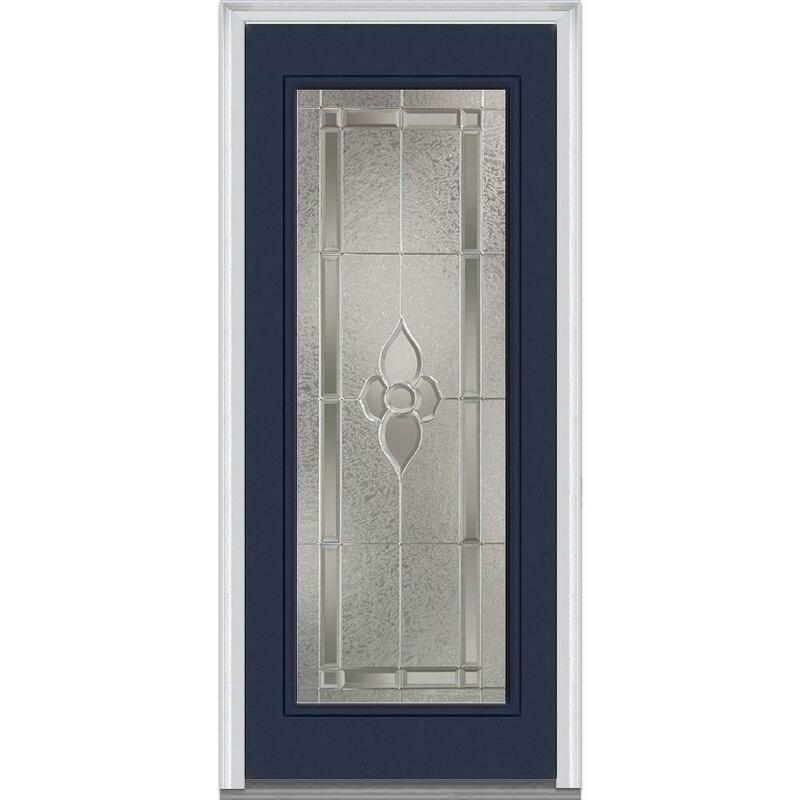 Use a piece of decorative glass to insert into the new opening in your door. 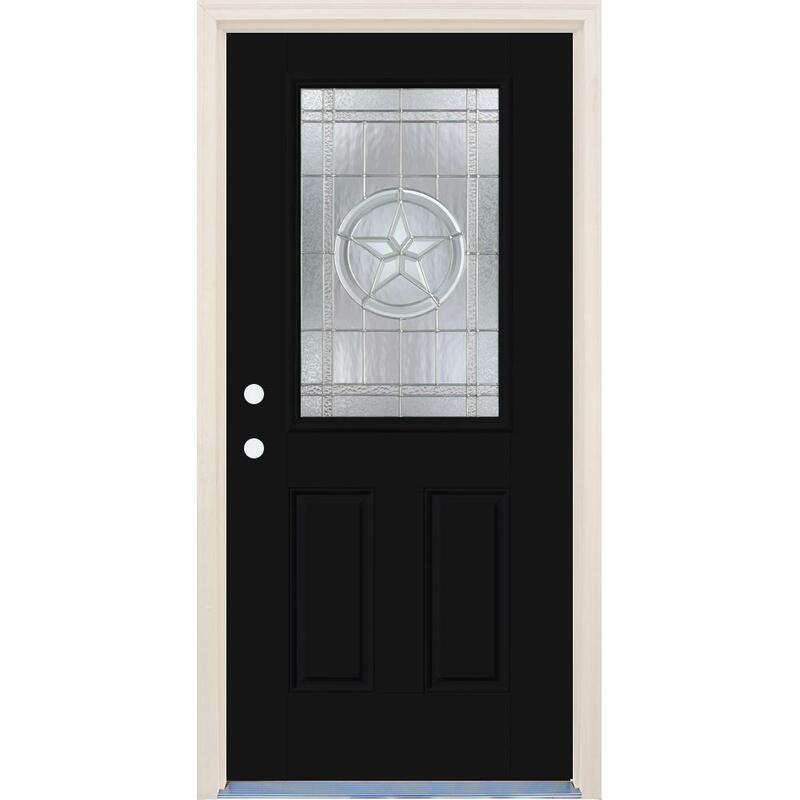 Give your door a little paint job, and your door now looks like a brand new door off the shelf! The process can take an average DIYer about an hour to finish installing a new piece of glass, and even less than that if you’re replacing an old dated piece of glass. But if you don’t feel comfortable installing it yourself, installation services are available in many major markets across the US. A big question is then, what is the cost difference? What is the true potential in savings by going this route? We did some shopping. 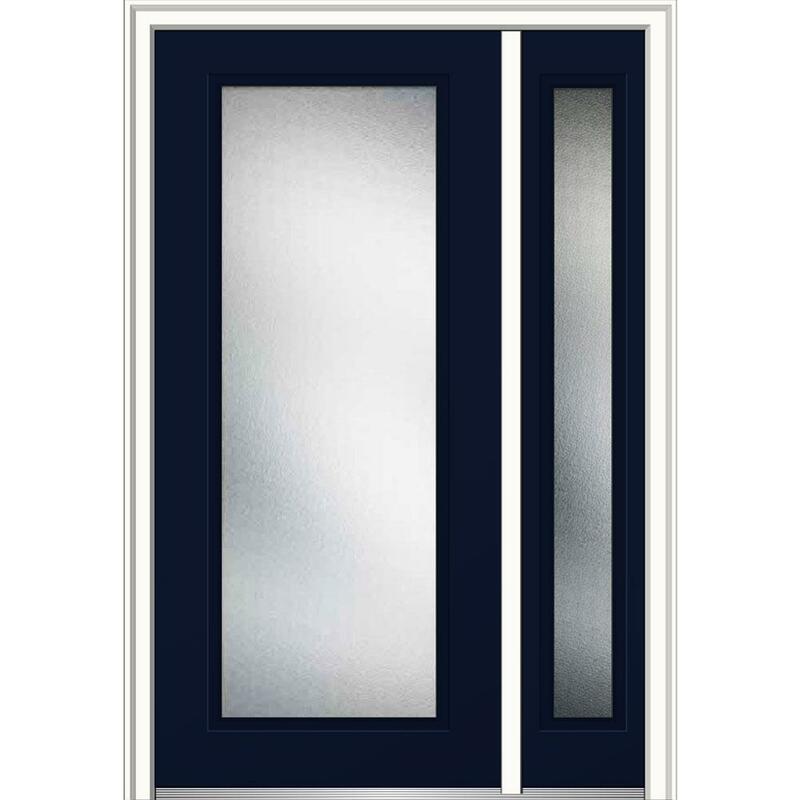 And while we were out, we wanted to see what the true cost difference would be for a homeowner to get a completely new entry door versus add a glass insert to their existing door. To do this, we went to Home Depot to checkout their selection of doors with glass in them and compared them directly to the glass insert that would accomplish the same look. We recorded the costs of the product and the estimated installation and compared. Note: For estimated installation, we used data collected from Home Advisor and used the “low end” estimate for installing a new entry door. Installation cost will always vary between contractors and the rates in your local area. 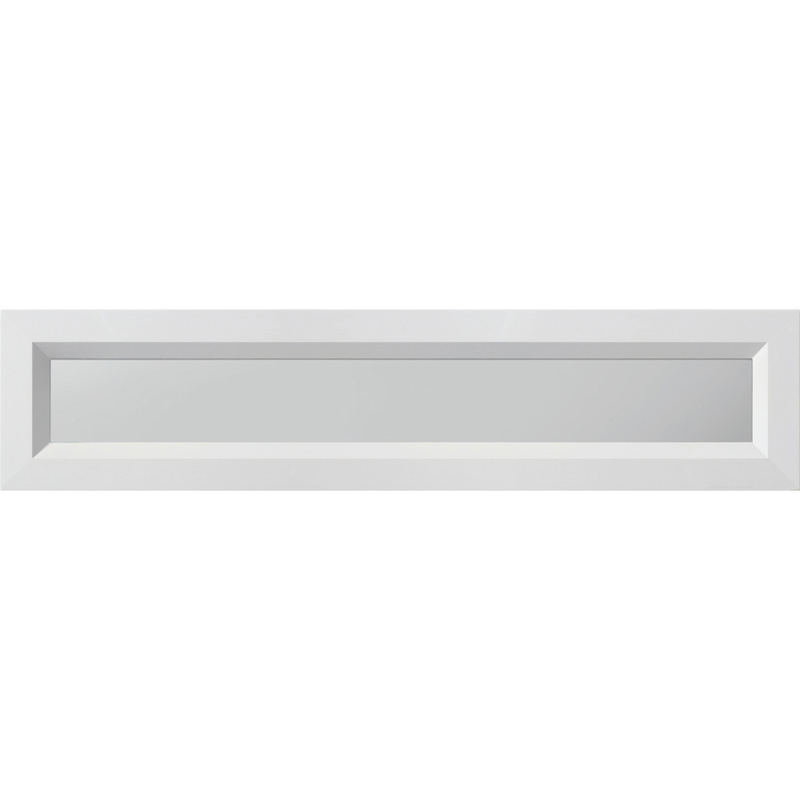 ODL Clear Door Glass - 15 Light - 7/8 Internal Grille - 24" x 66"
The first comparison is something standard: clear glass with internal grilles. We went with the full view option. Here’s how it played out for us shopping at Home Depot versus shopping at Zabitat. 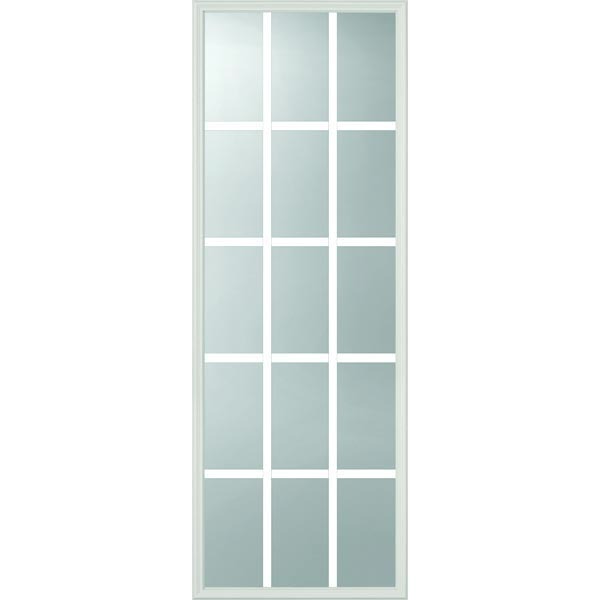 ODL Nouveau Door Glass - 24" x 66"
The next comparison we wanted to look at is a decorative panel. 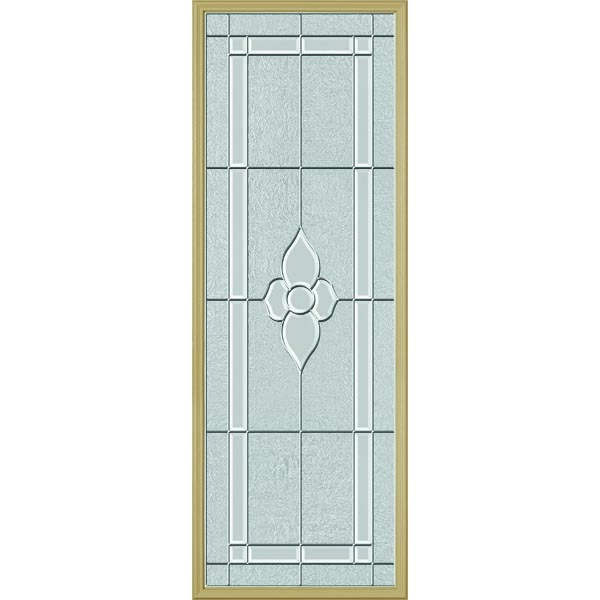 This time we chose the Nouveau design, which is a popular timeless design that works with many home styles. For this one, we went with another full view option. 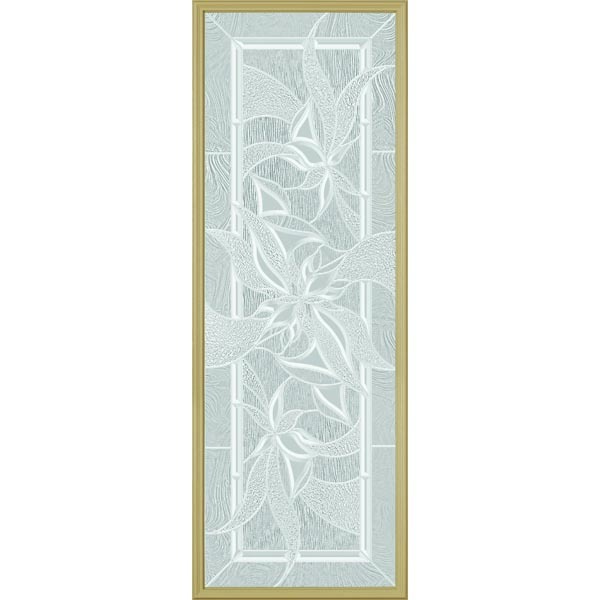 ODL Impressions Door Glass - 24" x 66"
We wanted to test another full-view panel with a different design to show that the savings can happen across more than select few decorative panels. We picked out another popular design that many customers absolutely love. 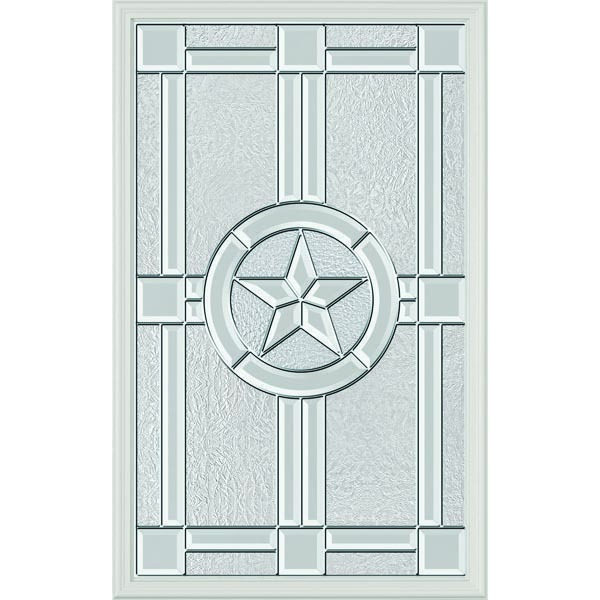 ODL Elegant Star Door Glass - 24" x 38"
We’re seeing some big savings across the board for full-view decorative glass options. Next, we wanted to see if this still applies to half-view glass options. We took a look at another popular design to see what the half-view comparison would look like. 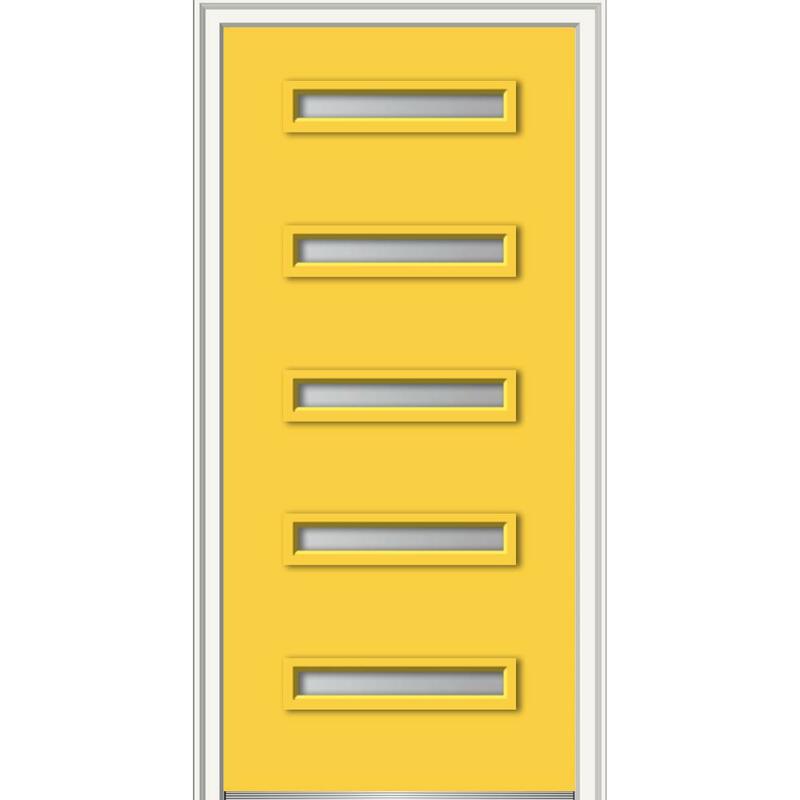 Note: We couldn’t find the EXACT same design, but you gotta admin that these are pretty dang close. We figured it was close enough. 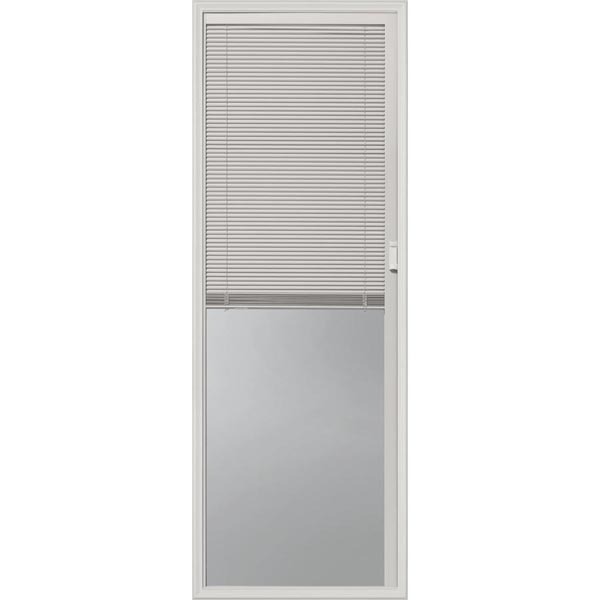 ODL Enclosed Blinds - Low-E Glass - 24" x 66"
The next comparison we wanted to look at was the blinds-between-glass product line. Enclosed Blinds are becoming more and more popular with all sorts of entryways. And for good reason! Having blinds in-between the glass panels offer some amazing benefits over traditional blinds. Here’s what we found while shopping. 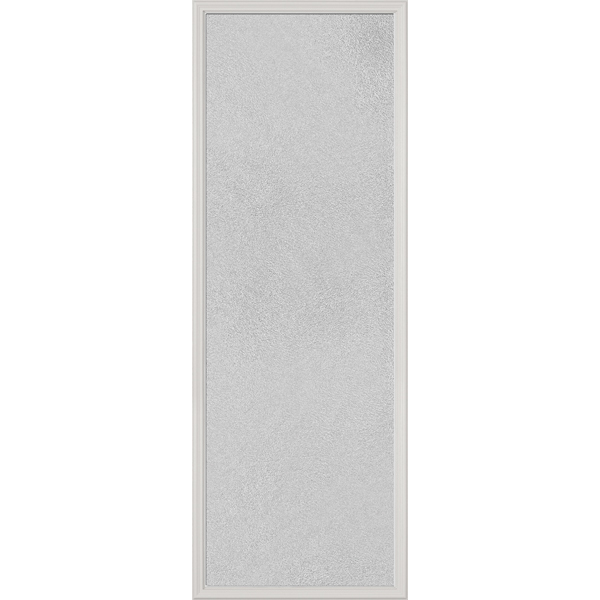 ODL Perspectives Low-E Door Glass - Micro-Granite - 24" x 66"
Now that we’re on glass options that offer great privacy, we wanted to look at specifically a Privacy Glass Insert. It offers a modern look that’s becoming more and more popular with newer builds. Let’s take a look. 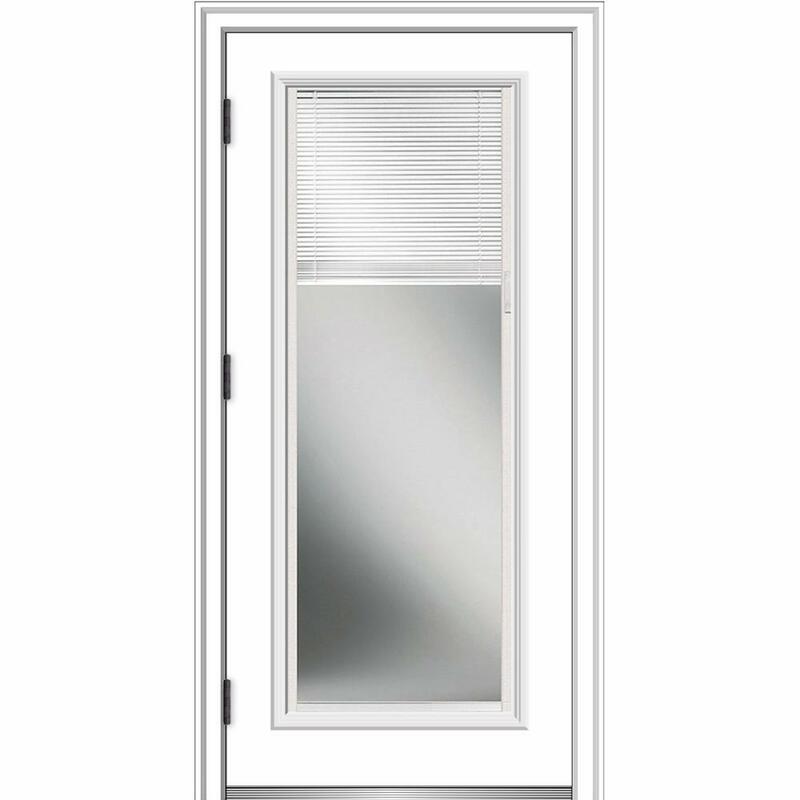 ODL Spotlights Low-E Door Glass - Clear - 24" x 5.5"
Last but not least is another privacy option with an even more modern twist to it. Spotlights are seeing a huge surge on newer modern builds, but the look can be accomplished any flush door, no matter how old it is. Here’s what we found. If you’d like the raw data from what we collected, you can view that here. Now to be fair, there are definitely new door options that cost less than the options presented above. 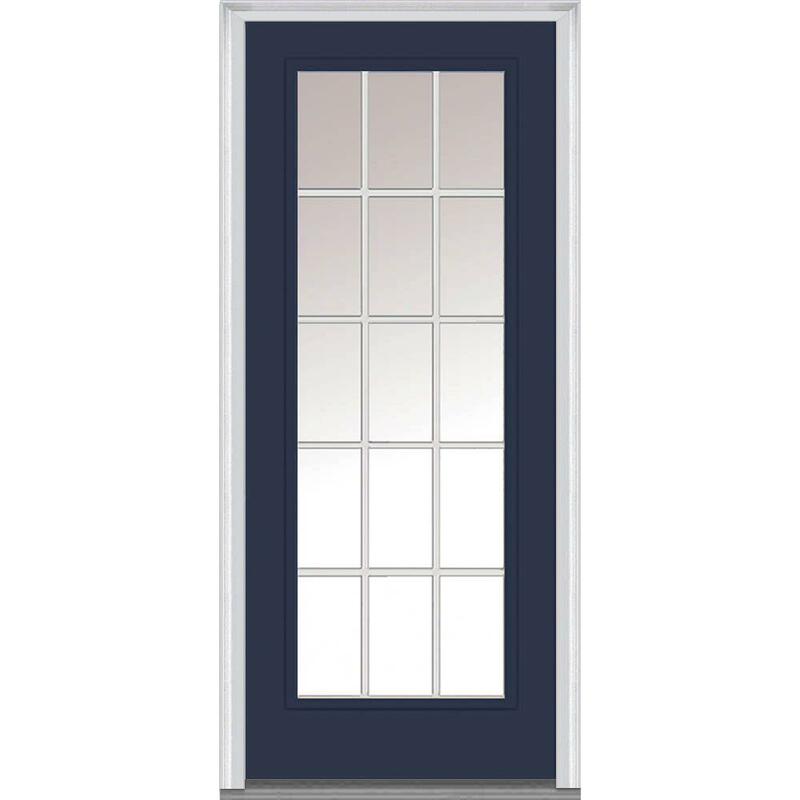 When we searched out doors with glass, we wanted to make sure that the product was high quality and not a “cheap” entry door. More economical options for a new door do exist out there. Our comparison was designed to look at high quality products and compare them in a realistic manor to showcase the cost savings that can take place when keeping your existing door and enhancing it with door glass. 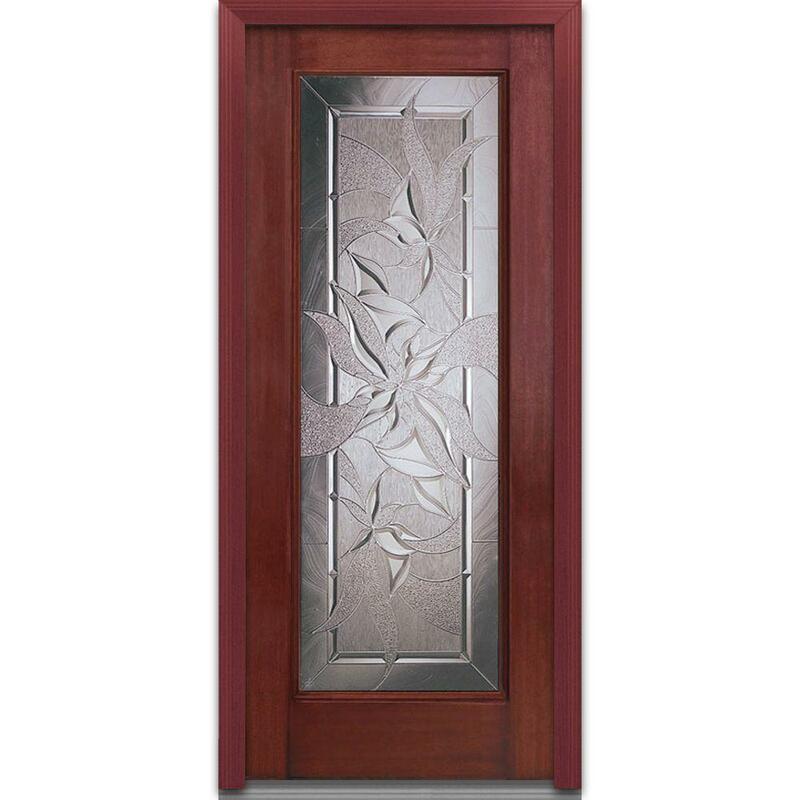 Most entry doors do not need to be replaced. Entry doors are designed to last a very long time. Older doors may just require a little repairing, but replacing the entire door doesn’t have to be your first solution. Some paint, some glass, and your door could look brand new again. If you want help looking at your door and figuring out the best way to make it shine again, reach out to our door geeks who will be happy to help make your entryway everything that it should be.